Earthquakes affect many highly populated areas around the world so understanding what controls the distribution and frequency of them is a top priority for the earth science and disaster risk reduction communities. Often, however, the controlling factors remain elusive because scientists have limited information about what happens deep down in the Earth’s crust where earthquakes initiate. A recent Nature Geoscience article (Cowie et al. (2013) published online on 3rd November, 2013) has shed light on the problem, and has shown how phenomena on the surface can be linked to the movement of rocks in the deep crust. At a depth of about 15 km below Earth’s surface, where temperatures exceed several hundred degrees, the crust flows gradually under the forces imposed by the motion of the underlying mantle or the surrounding tectonic plates (like toothpaste flowing continuously by constantly squeezing the tube). However, at shallower depths, where temperatures are lower, there are faults in the crust that resist this flowing motion. Faults are often inactive over very long-periods of time (hundreds or even thousands of years) before abruptly slipping during an earthquake. This is similar to a rubber band that progressively stretches before finally snapping. The contrast between the deep and the shallow styles of crustal deformation, and in particular how one may control or interact with the other, is thought to play a key role in generating earthquakes. 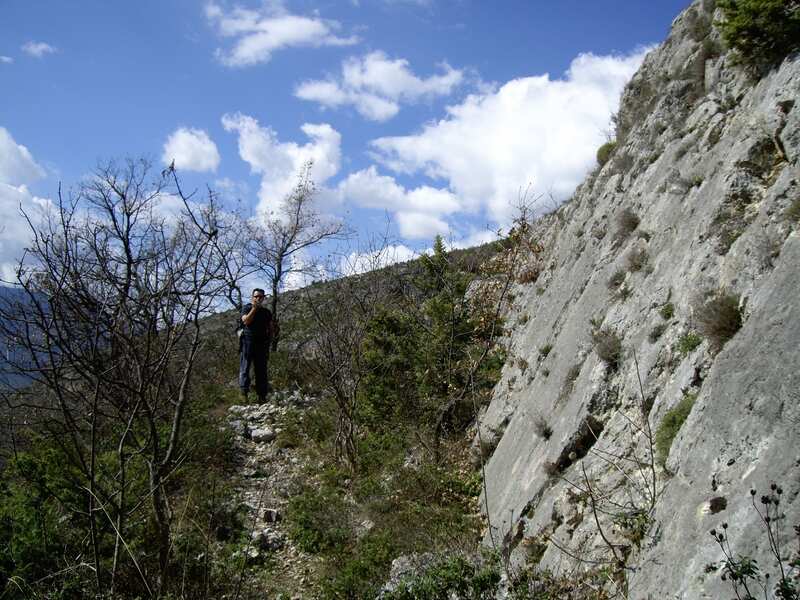 The photograph shows Professor Gerald Roberts (Head of Department of Earth and Planetary Sciences, Birkbeck College, University of London and member of the UCL IRDR Executive Board) next to a fault scarp in the central Apennines (photograph taken by Dr Joanna Faure Walker). 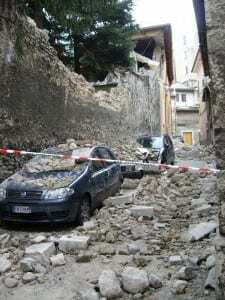 The study was conducted in the central and southern Italian Apennines where the Earth’s surface has been repeatedly shaken and devastated by major historical earthquakes including the 2009 magnitude 6.3 L’Aquila earthquake, which caused over 300 fatalities and displaced 80,000 people from their homes. In addition to the human cost, these earthquakes have left their mark on the landscape in the form of long scars, referred to as fault scarps. It is the deeper structure of these faults, at depths where earthquakes nucleate, that has been revealed by this collaborative work, which brought together researchers at UCL, Birkbeck, the University of Bergen (Norway), Columbia University (USA), and the University of Rennes (France). L’Aquila city centre (2009) following the magnitude 6.3 earthquake (photograph taken by Dr Joanna Faure Walker). “What is exceptional about this study is that we can demonstrate for the first time that these fault zones deform exactly as predicted by laboratory experiments on rock”, explains Patience Cowie (University of Bergen), the first author of this study. Up to now, no direct measurements existed on the deformation style (“rheology”) of rocks over geological time (thousands to millions of years) at the depths and temperatures where earthquakes nucleate. The timescales of thousands or millions of years are just too long to observe their motion.The team overcame this practical difficulty by looking at the fault scarps, whose structures carry information about the historic movement of each fault. 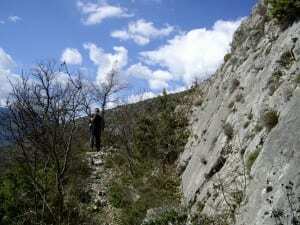 The data, collected and analysed by co-authors Gerald Roberts (Birkbeck College, IRDR Executive Board) and Joanna Faure Walker (IRDR, UCL), were used to estimate the rate of deformation across the Apennines. Specifically, the surface displacement and slip direction indicators present along the fault scarps were used to calculate strain-rates. “This thorough analysis gave many significant results, the most enigmatic of which was that variations in the rate of deformation (or “strain-rate”) of the faults are correlated to variations in the elevation of the topography,” says Dr Faure Walker. With co-author Philippe Steer, now at the University of Rennes but formerly a post-Doctoral researcher at the University of Bergen, Professor Cowie carried out theoretical work that allowed a link to be made between the field measurements and rock deformation experiments. By making this connection it became possible to show that the observed relationship between deformation rate and topographic elevation reflects the rheology of the deeper part of the crust even though the measurements were made at the surface. “This tells us that the earthquake-prone faults in the shallow part of the crust are directly rooted into the flowing material at depth. Most of the flow will occur in narrow zones, called shear zones, which commonly form at the lower tip of earthquake-prone faults and extend downwards into the deep crust”, explains co-author Christopher Scholz (Columbia University). The two contrasting styles of crustal deformation exert controls on each other to determine where the shear zones are located and the rate at which the earthquake-prone faults are slipping and, ultimately, the average rate at which earthquakes will occur. “A related conclusion is that a doubling topographic elevation corresponds to an eight fold increase in the deformation rate,” says Professor Roberts. This result alone provides a new framework for mapping out variations in seismic hazard in the region. For example, this relationship can be used for risk assessment in lower elevation areas where the deformation rates are low. 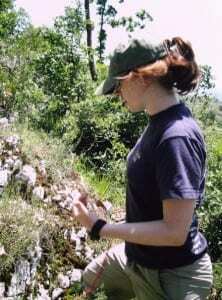 The IRDR has ongoing research into seismic risk in Italy by its academic staff, PhD students, and affiliated staff. This includes both the science relating to seismic hazard assessment as well as research into vulnerability comprising earthquake injury, epidemiology and post-disaster shelter. IRDR academic staff and research staff also run an annual UCL Earth Sciences Student fieldtrip to the central Apennines, where the students learn how to use geophysical techniques to investigate subsurface faulting.